Category Archives: new belgium brewing co. Instead of posting a weeks worth of events at once, I’ll be posting the weekend events on Wednesday night or Thursday and then posting on Sunday or Monday if there’s anything noteworthy going on Monday-Wednesday of a given week. 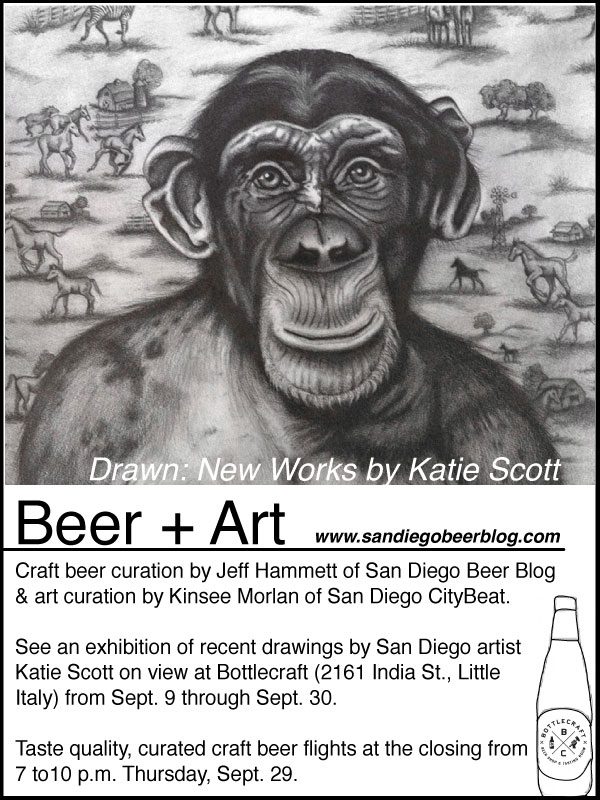 Getting a little self promotional here, my wife (San Diego CityBeat Arts and Culture editor Kinsee Morlan) and I have partnered up to put on an art show and beer tasting at Bottlecraft. From 7-10pm the artist Katie Scott will be on hand with plenty of her work showing. There will be three different flights available for purchase as well as all the rest of the great beer at Bottlecraft. More info here. It’s 30th on 30th and there are a couple great casks getting tapped Friday night. AleSmith Evil Dead Red will be at Ritual Tavern and Hamilton’s Tavern will have Grand Teton Wake-up Call Coffee Imperial Porter as well as plenty of other great Grand Teton and Big Sky Brewing beers on draft. Grab your bike and head down to Golden Hill Park (technically part of Balboa Park but nowhere near where it was held last year) for New Belgium Brewing Co.’s Tour de Fat. The bike parade starts at 11am and other entertainment will run throughout the rest of the day. 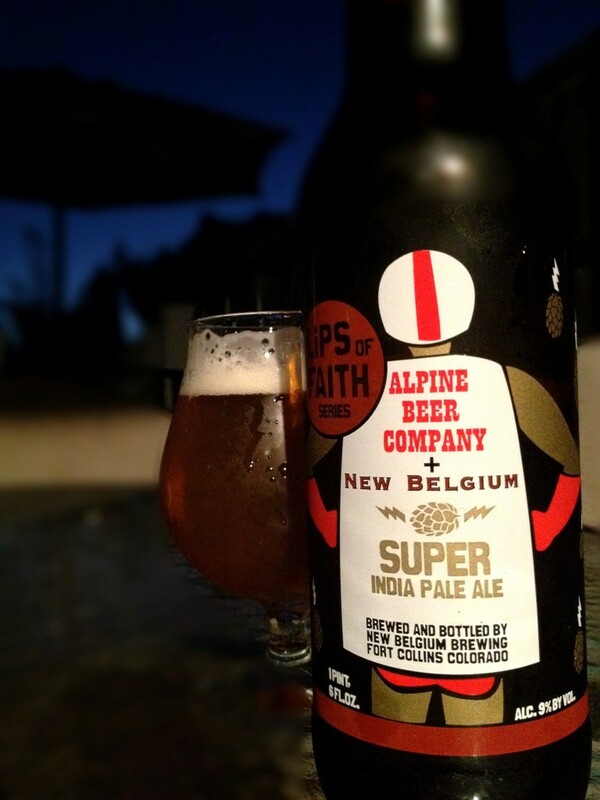 Posted by Jeff Hammett in beer reviews, breweries, new belgium brewing co.
Super Cru is New Belgium’s 20th Anniversary beer and a tribute to (or super version of?) Fat Tire. It’s an amazingly wonderful smelling beer. It’s a very lively beer with a wonderful pear smell, tart and fruity (as it is brewed with Asian Pear juice). Bready malts and a little bit of caramel or toffee come through in the first sips. There’s a spicy bite towards the end of the taste, possibly due to the Saison yeast used. But as Super Cru warms it becomes more difficult to drink. The 10% ABV starts to become more apparent and the sweetness, both from the fruit juice and the large malt bill present themselves front and center. 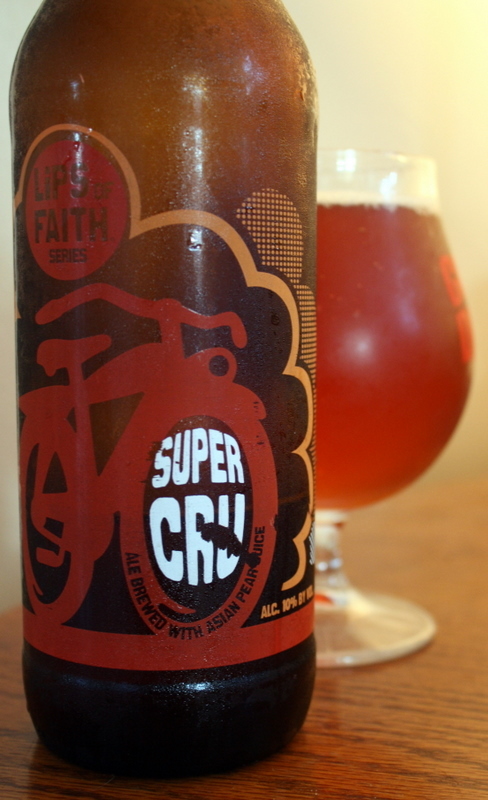 Super Cru is by no means a terrible beer, but it isn’t a great beer either. I picked this 22oz bottle up for $8 at BevMo which I feel was a pretty good price for what I got. I’d recommend drinking it on the cold side, split the bottle with a friend if possible or pour a small glass and keep the remainder in the fridge until you’re ready for more. I don’t buy many six packs lately. I’ve fallen into the beer geek habit of not drinking too many “regular” beers. I tend to buy bombers and of seasonals and one-offs, and drink beer on draft, but it seems rare these days for me to pick up a six pack of any one beer. A few weeks ago I was having some friends over so I picked up a couple six packs, one of which was New Belgium’s Mothership Wit, and organic Belgian-style wit. With the passing this past weekend of Pierre Celis, the man many consider to have single handedly brought back the Belgian White style while at Hoegaarden in the 1960’s. With no Hoegaarden in the fridge (although many would say Hoegaarden just isn’t the same since the brewery was purchased by InBev) this American take on the style will have to do for a toast to Celis. Mothership Wit is 4.8% ABV, 12 IBU and made using Organic Hallertau, organic pale malt, organic wheat, organic bitter orange peel, organic coriander, and organic lemon peel. Wheat beers in general, be it American Wheat beers, German Hefeweizen’s or Belgian Wit’s, typically aren’t my favorites, but lately I’ve had a few that I’ve really enjoyed, this being one of them. 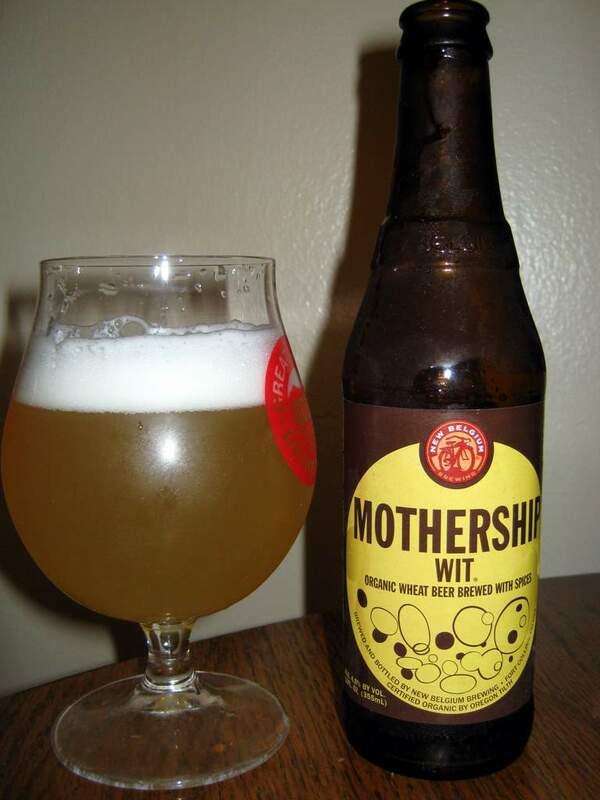 Mothership Wit pours a cloudy yellow/gold with a big frothy head that disappeared after a few minutes. It’s pretty sweet smelling, I pick up some spice, which I assume is coriander, as well as citrus fruit. The taste is similar to the smell. It has a tangy citrus flavor and some coriander spice which fades into a sweet finish. There’s a bitter but not unpleasant aftertaste that doesn’t seem like a hop bitterness, probably from the orange peel, coriander and lemon peel. My biggest complaint with Mothership Wit is that it feels a bit thin and watery. I don’t have a lot of examples of other Wit’s to compare it to, so I’m not sure if this is on par with the style, although I assume it is. This is a good beer for warmer weather, nice and refreshing. Looks to be a bit of a slow week. But just because their aren’t a ton of out-of-the-ordinary special events listed here, doesn’t mean there isn’t great craft beer on tap at local bars and on the shelves of local liquor stores. If you know of anything that isn’t on our events calendar, email events@sandiegobeerblog.com to get it added. New Belgium Brewing Co. and Allagash Brewing Co. recently teamed up to brew a new sour beer, the 8.5% ABV Vrienden. According to O’Brien’s Pub, Vrienden is Flemish for Friends and was brewed with endive and hibiscus and then soured with lacto bacillus and brettanomyces. And O’Brien’s Pub just so happens to be tapping a keg of Vrienden on Thursday. They’ll have a few other New Belgium Brewing Co. beers on tap and some New Belgium globe glasses for sale. While I couldn’t find any special beer events going on this Friday. That doesn’t mean they’re not happening. 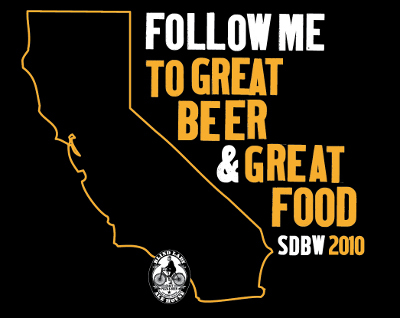 If you know of something email events@sandiegobeerblog.com. Otherwise, I’d bet that your local bar has some delicious on tap. For their Second Saturday this month, Hamilton’s Tavern is hosting Montana’s Big Sky Brewing Co. The draft list is mouthwatering – here are more than a few of the 20+ beers on tap that stand out: Cherry Bourbon Cowboy Coffee, Belgian Sour Brown Ale, All Souls Imperial Saison, 2008 Ivan The Terrible Imperial Stout, 2010 Ivan The Terrible Imperial Stout, 2009 Barrel Aged Slow Elk Oatmeal Stout, and 2008 Buckin’ Monk Cherry Tripel. They’ll also have Slow Elk Oatmeal Stout and Powder Hound Winter Ale on cask and some bottles as well. UPDATE: According to the Missoula, Montana based beer blog Grizzly Growler, this will be the largest selection of Big Sky beers ever in one place. 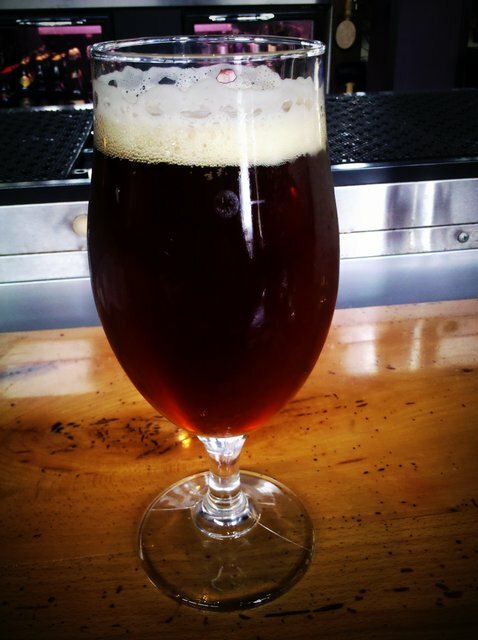 Some people say that Stone Brewing Co.’s 10.10.10 Vertical Epic Ale tastes better on draft than it does in the bottle. I haven’t made my mind up for sure, but Stone will be doing growler fills of 10.10.10 VE this Sunday which makes it easy to do a comparison between draft and bottle at home — just be aware that this will leave you with 86oz of 10.10.10 VE. Come to think of it, that’s not a bad problem to have. Monday might be the busiest night of the week. I’ve noticed that Eleven seems to be doing fairly regular keep the glass nights on Monday’s. This week is Delirium Tremens, the glass and beer will set you back $6.50 (and don’t forget to throw an extra buck to your bartender) and and after that refills will run $4.50. Or head on up to Escondido where Stone Brewing Co. is teaching about beer, Beer 101: Intro to Beer will teach you the basics of beer. And the beer list for the class looks might fine. Tickets are $25. And as always, Toronado does $3 local pints from 6pm-Close on Monday nights. As always Toronado has $3 local pints all night.